Calcium supplements are usually not necessary and can be positively dangerous. I spoke of the dangers of too much Calcium (Ca) in this post, but I want to give you an idea of where Ca can land up in our bodies. If it is NOT laid down in our bones as most of it should be, this is what can happen. The following images give an idea of the effects of a Ca overload on your heart and the rest of your body. 99% of Ca should be in your bones with just 1% in your cells, soft tissue and bloodstream. 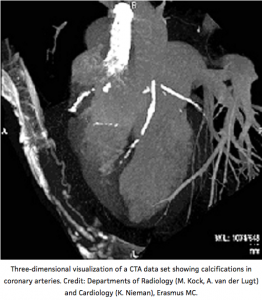 This first image is a three dimensional CTA data set showing calcifications in coronary arteries. Ca stones in the brain. Amazingly this man, who was suffering severe headaches, was operated on and survived. Excess Ca is not easily eradicated because our body tends to hold on to it. Our ancestors evolved in an environment rich in Mg and Potassion (K) but much poorer in Ca and Sodium (Na). Hence our bodies have mechanisms to hold onto Ca and Na. Mg and K, on the other hand, is excreted much more readily and it is lead to believe that this comes from us evolving with an abundance of Mg and K. Not so now, with depleted soils, use of herbicides, fungicides, fertilizers and pesticides, junk food, sodas, artificial sweeteners, genetically modified foods and all the other rubbish and toxins that are presented for us to eat by the food moguls, all deplete in many nutrients includng Mg. 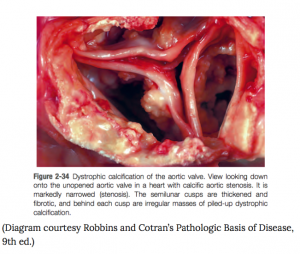 This image shows calcification of the aortic valve. The aortic valve is one of the 4 valves in the human heart. It is between the left ventricle and the aorta. As you can see, this valve won’t be working too well with all these irregular calcified masses. The valve cusps are thickened and fibrotic and will not allow the valve to open and close properly. Those who have a lack of Ca, actually have a deficit in the bones. The rest of the body is likely harbouring vast amounts. The trick is to get it out of the soft tissue and into the bone matrix. Supplementing with Ca will only make matters worse. 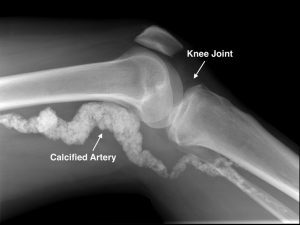 What is needed is to balance Ca with other vital minerals such as Mg. Mg actually stimulates the hormone calcitonin which helps preserve bone structure, drawing Ca out of soft tissue and back into the bones. 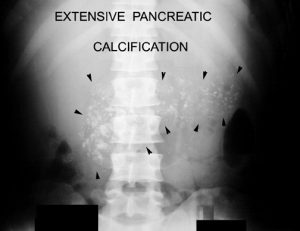 This image shows calcifications of the pancreas. 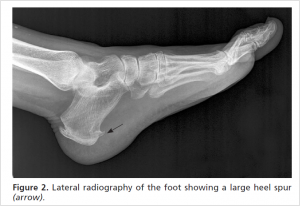 A heel spur which is a calcification sometimes known as plantar fasciitis. 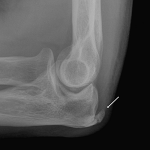 The lower image is an elbow spur. The recommended daily allowance (RDA) for Ca is far too high especially when compared to the too low RDA of Mg, causing a massive imbalance of these two vital minerals. We eat far too much Ca in our modern diet. Enough can be gained from consuming good quality meat, vegetables and eggs. It is probable that those not drinking milk and other dairy products are less likely to be as Mg deficient because it is the balance that is important and the narrower the ratio between Ca and Mg the better. Those suffering from osteoporosis are more worried about breaking a bone. But, there is a hidden danger. Dying from a stroke, heart attack, diabetes or cancer is more serious than a fracture. Consuming Ca is very easy. It is everywhere. It is added to many foods, it is hidden in many over the counter medications such as antacids. Unless you take stock, you could be harbouring an excess of Ca in your body which will cause you no amount of health problems. 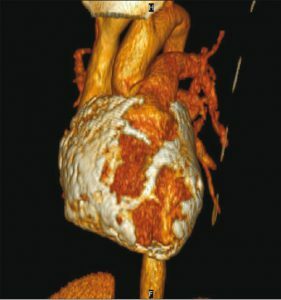 Here is a computer tomographic volume rendered image of dense egg-shell calcification of the pericardial (the membrane that surrounds the heart). In 2013, after following 60,000 women over a 19 year period it was found that those that supplemented with Ca and consumed a Ca rich diet, particularly of dairy had x2.5 more deaths than those that didn’t supplement at all and consumed the least amount of Ca by way of food. 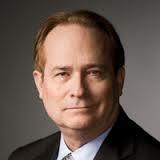 Have a look at this short video of an interview with Dr Thomas Levy about the dangers of Ca. It’s only 2 minutes long but full of information that you need to know for your future good health! Remember, calcium supplements are not usually necessary. Thanks for reading this article and please remember that Ca in excess is bad for you. Keep a watchful eye on your consumption. Make sure your Mg levels are as near as possible to a 1:1 ratio with Ca. That way you will be protecting your future health and if you have current health problems, Mg will definitely help your condition. Good health to you all. An excess of calcium can be lethal and it is generally not advantageous to take calcium supplements. Too much could result in heart disease. A Coronary Calcium Scan is used to estimate your likelihood of heart disease. Wow! This is a really educational piece of information that I have learned from you. I never knew how extra calcium can affect the heart. I had a bone density test-taking a couple of months ago, which came back negative. I was thankful for that but I still heard clicking in the bones. I was asked to take vitamin D. Now that I know about Mg, I will use that as well. Thank you. Hello Brenda and thanks for your comments on calcium supplements. Not only can Ca affect the heart, there is no telling where any excess Ca will travel to in your body. Although some may appear to be low in Ca in the bones, that will indicate that the body has excess Ca in the tissues. It is not a normal process for the body to have Ca in the vital organs and other tissues although many practitioners will say it is part of the aging process. Not so! With necessary nutrients kept at optimal levels, this wouldn’t happen. Around 99% of Ca should be in the bones with the other 1% dissolved in the blood and available for the cells when the body needs it. Mg keeps Ca dissolved in the blood. Don’t forget, Mg is necessary to activate vitamin D so without enough Mg your vitamin D stays in its deactivated form. Before supplementing with vitamin D, get your Mg levels up and then get re-tested. Vitamin D should not be over supplemented and this way you will know your true levels once there is enough Mg to activate your body’s stores of the hormone. Don’t worry about your clicky bones. The sound of joints “popping” comes from a gas-filled cavity (i.e. bubble) forming in your joints. Some stretching exercises could reduce it if it worries you. I agree 100%. Calcium supplements are not necessary. If people want to prevent bone loss, then do weight bearing exercises. This helps increase bone density. Milk with extra calcium is utterly useless. I try telling people this and find it interesting that they are always surprised. They so convinced by advertising, that more milk and calcium supplements are essential for bone health. Thanks for your valuable comment Dave. I think the problem with the general public is they believe everything their medic and tv ads tell them. They certainly won’t believe those who have actually researched the subject. Trouble is, most medics don’t know what they’re talking about when it comes to nutrition! It’s not their fault, medical education is run by the pharmaceuticals as is much of the media. Doctors are taught about drugs and how to manage diseases. Their emphasis is on the sick body, not preventative medicine and ways to keep a body healthy. Hi! I am stunned after reading your post. I didn’t know too much calcium could damage our heart and other organs. This is really an eye opener. Before reading your post, I don’t even think about Mg, but now, I will definitely pay attention to my daily Mg intake. What type of foods do you recommend, that have high level of Mg? Thank you for sharing this information. I will definitely share this with my family and friends because many of them take Ca supplements regularly. Hi there Kai and thanks for reading the post and commenting. This is the problem, the medical fraternity do not advise their patients what and what not to do regarding nutrition. They know that excess calcium causes heart disease and blocked arteries. After all, what on earth would a Coronary Calcium Scan be for otherwise. The fact that they know and don’t tell their patients is scandalous. Until allopathic medicine teaches medical staff about nutrition, which they do not at this time, it’s about time we stopped our love affair with doctors and hospitals and started looking out for our own health and the health of our children and loved ones. Advising a patient with osteoporosis to take Ca supplements is a crime and will only add to that patient’s problems, including the possibility of atherosclerosis and heart disease to add to the bone disease. To counteract a buildup of Ca in the soft tissue of your body, take a good quality Mg supplement as well as vitamin K2 (MK7). This will help drive excess Ca out of your tissues and into your bones, see this article on Vitamin K2 benefits. A vitamin D3 supplement could also benefit but be aware a Mg deficiency will hide the amount of deactivated vitamin D you have in your body because Mg is necessary to activate vitamin D.
Hi Chessie, thanks very much for this informative post. Much information on nutritional supplement exists with many people taking them when they would be better off not to. Posts like these can help to dispel some myths, so well down. A friend of mine was hospitalised because of calcium overload, so I do not about the risks. Pity so many websites advocate taking supplements without proper knowledge. 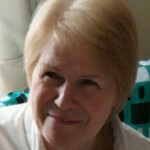 Hi Anita and thanks for your valuable comments. To be quite honest, I think it is criminal that the trusting public is given such duff information, especially when that information comes from a medical professional. Perhaps paradigms should be changed and medical students should start learning about nutrition and how the body works and uses vitamins and minerals. Problem is, the pharmaceuticals are in control of medical education as well as many other areas of our society, including the media. I just have to say that I found your post very interesting and also alarming as to the fact of what calcium can do to the heart. Yes so many people take extra calcium for bone density, (like myself) so I was quite “knocked off me chair” when I read what you had to say about how it affects the heart. Yes I have heart issues and my doctor never mentioned anything about avoiding extra calcium. So now I will devour your post again and also your whole website and I will certainly bring it up to my doctor on my next visit. Wow! Chessie, thank you very much for your informative and incredibly useful article! I literally had no idea that Calcium could be so damaging to the body and our health. I have often heard that we should supplement with Ca and as I cannot drink dairy, I have worried that I don’t consume enough! Your article has cleared up that confusion and I will certainly be looking at my Mg levels before worrying about Ca. This is a huge wake-up call! I didn’t realize it was possible to get calcium deposits in the brain. I was aware that calcium needs to be balanced with good magnesium intake, though. Now I know why. This makes me think about how we were all offered milk at school. The common belief was that calcium is good for us, but the truth is it’s no good without magnesium. The thing about milk is that it is high in calcium but low in magnesium. 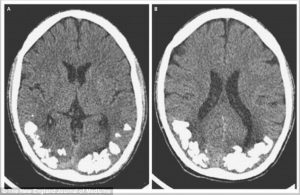 Do you know if the man who had calcium in his brain was taking calcium supplements, or was he just drinking a lot of milk? Very timely to read this. My wife and I were recently discussing the idea of me taking Calcium supplements since my finger nails seem a tad brittle these days. Since we generally assume anything you can buy in a vitamin store is inherently benign, I would otherwise have gone ahead and started taking a supplement. I’m also a heart patient. What a bad idea that would have been. It seems in our lives, that formal medicine and supplemental medicine never really weave together. Too often, we make decisions for reasons like mine above. Thank you for this article. Saved me from making a mistake. I really like your article. It is very thorough and convincing. I’ve known for some time from my endocrinologist that taking calcium supplements can lead to exactly what you describe. I’ve since stopped taking calcium supplements and started taking magnesium supplements. I think that many people were advised by their physician to take calcium supplements in the past and they never got the update. I hope that no medical professional is currently advising their patients to take calcium supplements! I just can’t seem to convince my mother to stop taking calcium supplements. Maybe if I show her this article, she might come around! This is actually quite scary. All my life I’ve been told that calcium supplements are necessary but it wasn’t until recently that I realized it’s very possible to overdose on it and that you really don’t need much if any supplements these days because there are so many things that contain calcium. If you have a buildup of calcium in your body how can you go about taking care of it? Are there ways to cleanse your body of any calcium buildups you may have accumulated over the years? Hi there and thanks for reading the article. Yes, it is scary and what’s really worrying is that patients do not know about it. They rely on their medics to give them the best information and the most suitable drugs for their condition but unfortunately, this doesn’t always happen. 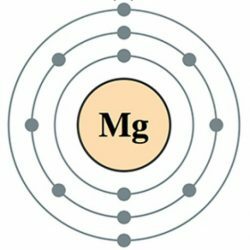 If you take a good quality Mg supplement, you will help with the balance of Mg:Ca which should be as near to 1:1 as possible, but this is difficult because of the imbalance of Ca and Mg in our modern foods. That’s so weird. My mom was put on calcium pills at one point. Huge calcium pills. I love reading stuff like this. I actually just got finished watching something on the connection between glyphosate and autism with Doctor Stephanie Seneff. I’m glad I stumbled onto your site! Very educational, and very caring of you to help. I shared your site!